Now that the summer vegetables are in the ground and you are waiting impatiently for the tomatoes, melons and peppers to ripen, the time is perfect for deciding what you are going to grow in the cool season and how you are going to prepare for it. Most of us do not have – nor do we want – unlimited space for vegetables. That means that you will have to grow the cool season crops in the same space now occupied by the aforementioned warm season plants. The cool season in much of the county, especially the milder areas closer to the coast, is more productive than the warm season. The cool season vegetables, such as brassicas, beets and chard, also tend to be the ones that are really loaded with nutrients. So on the days that it is too hot to do much other than check your irrigation and make sure that your tomato stakes are secure, plan your fall garden! The first thing to decide is what you want to grow. This will depend both on what you like to eat and where you live. In my mild East Petaluma garden I can grow lettuce all winter, for example, as long as I protect it from the hardest rains. We eat a lot of salad and I like fresh greens, so a goodly area of my beds devoted to salad greens is a must. I like chard and could eat it several times a week, but my husband is less enthusiastic about it, so I only make room for a few chard plants. I like to have beets for winter salads, fava beans are a luxury and hard to find in the markets and fresh peas are a delight. I take a perverse delight in never having to buy garlic, so I always plant enough to last me a full year. So, I need to plan for all of those plants. Start your planning the same way: make a list of the cool season vegetables that you want to grow and are suited to your area (I don’t do well with Brussels sprouts, for example, as they are quite tall and my garden is windy – they blow over!) If you want a list of cool season vegetables, check out the ‘Vegetable Planting Summary’ in the Master Gardener Documents on the left-hand navigation bar. You can also read ‘Growing Salad Greens’ and ‘Growing Vegetables’ in the same place, and some of the Vegetable Articles under ‘Plant/Vegetable Articles’, especially ‘Making a Personal Vegetable Calendar’. The planting summary notes ‘c’ or ‘w’ for cool or warm season. Once you have your list, note when they need to be sown or transplanted in Sonoma County, all of which is covered in the planting summary. Each garden should reflect the tastes of the gardener(s). For example, I like chard and could eat it several times a week, but my husband is less enthusiastic about it, so I only make room for a few chard plants. Refer to the article "Making a Personal Vegetable Calendar" for ideas. Once you have your list of winter vegetables and when each needs to be planted, you are ready to figure out how and when you are going to harvest the warm crops and leave space to plant the cool ones. For example, you can plant corn, cucumbers, squash and beans in July in Sonoma County, but if you do, you may not have room to start your beets, carrots, peas, radishes or brassicas in September. So don’t over-plant your summer vegetables at the expense of your winter ones. It is ok to have a bare bed for a month or so as you wait to put in the fall crops. While tomatoes keep producing – they have fruit on the vines, anyway – until November, I find that the late tomatoes are not very tasty and I do better doing one final harvest for the saucepot and then pulling them out in October and planting peas. I use the same supports but put up mesh for the peas. Timing is especially important with cool season vegetables – they generally need to get started with enough warm weather so that they get a good root system going and get big enough by the time the really cool weather sets in. That is why most of the cool season crops go into the ground (either as seeds or as transplants) in Sonoma County in September, and August often isn’t too early. It is sometimes difficult to think of ‘cool’ season anything when we are having our Indian Summer and the temperatures are sweltering, but the days are indeed shortening and the average first frost date in Sonoma County is October 15. July is a planning month for most of us – it’s too hot to plant much and it is productive to use the time to ensure a bountiful harvest of cool season crops. 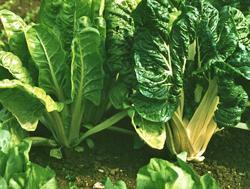 Vegetable starts begin to show up in the nurseries in August and September, and seeds are available any time. If you’ve never grown cool season vegetables, give it a try! The cold, wet days of winter seem warmer and cozier with your own vegetables on your table and in your larder!